Proof that we are in the bad timeline: Stan Lee died last year. We knew he was old and ailing, but we were hoping he could outlast certain people that engage in unhealthy habits that destroy everyone around him. 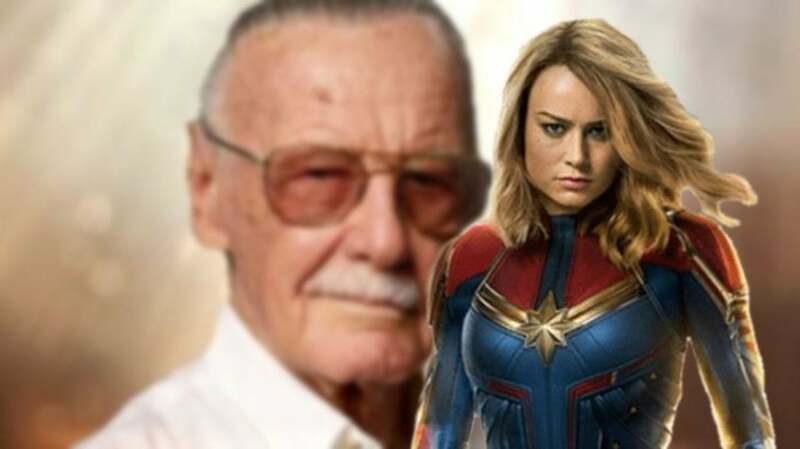 The Captain Marvel teaser featured a sweet tribute: the animated Marvel logo with all of Stan’s past cameos. Not even forty seconds in, and I was tearing up by the time we got to the caption, “Thank you, Stan.” Seeing him in Into the Spiderverse triggered enough waterworks. Stan represents a comic artist that inspired one of the most iconic American heroes: Spider-Man aka Peter Parker, a teen that grows up quickly to learn money isn’t everything when you have lives you can save. He also created one of Marvel’s most profitable heroes. Even more reassuringly, that Spider-Man was not a piece of garbage compared to villains like Thanos who think Death could be won over if he killed people. One hitch of the Stan Lee myth is that we see him as the face of Marvel, or at least what Marvel should be. He was a Jewish World War II veteran, someone who did believe in fighting for what was right and taking responsibility. Stan also didn’t work alone; he collaborated with Steve Ditko to create the first Spider-Man, as well as the Iron Man we know and love. Jack Kirby and Joe Simon created Captain America, another face. The issue is that most of these beloved creators, all white and standing for the Old Guard, have since passed on; Stan Lee was the last of the quartet. You can make a comic alone, but Stan didn’t. He had a team. Most Marvel and DC Comics have two to four people handling the script, penciling, inking and coloring. Stan makes various cameos in the Marvel universe; in Ultimate Spiderman, he even revealed that he moonlights as a janitor and S.H.I.E.L.D. agent. He first appeared in Spider-Man 3 with Sony, but made his Marvel Cinematic Universe appearance in the first Iron Man. Stan always seemed to have a funny line. Guardians of the Galaxy hints that Stan watches over the other heroes and tells stories about them, the way that he and the Old Guard watched over Marvel comic stories in real life. That would explain how he keeps forgetting what Tony “Stank” looks like, or how he can collect poker chips in a random casino. Stan will remind us that the people he worked with were not Nazi-living jerks. More to the contrary, they were Nazi-hating jerks. He made cameos for the money, but his heroes were never meant to be Hydra sleeper agents. And I imagine Stan would be furious at the comic book writers at Marvel who propose alt-right views for their Jewish-inspired characters. Peter Parker would not be pleased. Stan was also old, and there were rumors that his family was taking advantage of his elderly state to abuse him. It came out that a film producer who served as Stan’s manager was actually doing that. We hope that those rumors are not true, because no person should face financial or physical abuse from their families. Even so, it is tragic that someone would take advantage of Stan due to his finances and fame. He deserved better towards the end of his life. Stan, thank you for the worlds, and your cameos. You said you were going to miss Spider-Man in Into the Spiderverse. We are going to miss you too. The world won’t be the same. Thoughts on the Tangled Season 2 Finale: How Many More Betrayals? Watch out Marvel Comics. Tsum Tsum Are Coming.